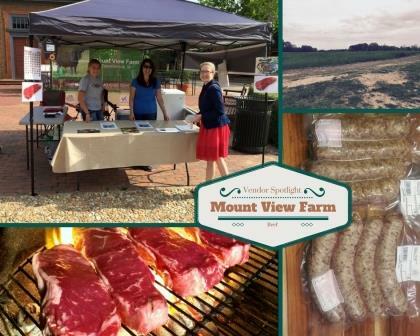 Mount View Farm offers naturally raised beef. Barry and Suzanne’s cattle are pasture raised on their family farm in Tappahanock in their natural environment, never given added hormones, growth implants or steroids. Their animals have unrestricted access to a free choice diet of pasture, hay, and Non-GMO grain to meet their nutritional needs. Hydroponically grown FRESH GRASS is also part of their daily diet. This sustainable practice eliminates the impact drought and crop disease can have on feeding their cattle. Mount View Farm’s Premium Beef is dry-aged a minimum of 14-days to provide a more flavorful and tender cut. All beef is USDA inspected, immediately flash-frozen and vacuum-sealed to maintain its freshness. Mount View Farm’s philosophy is to provide top quality beef in a sustainable manner to benefit their local environment, family and friends.